(August 18, 2014) The Steele Creek YMCA will hold its 3rd Annual C2 Survival Race at Camp Thunderbird in Lake Wylie, SC on Saturday, September 13th. Adventure enthusiasts are invited to sign up at Steele Creek C2 Survival Race. The C2 Survival Race challenges adventure seekers, combining extreme terrain trail running with obstacle-bounding adventure, and raises money for camp and after school program scholarships. With three competitions – one for adult “survivors”, one for teams, and one for kids - roughly 500 athletes will participate in a trail run packed with obstacles and physical challenges. Adult competitors, ages 14 and up, will complete a 3.2 mile extreme terrain trail run through Camp Thunderbird with obstacles that will include climbing walls, water carries, saw horse hurdles, and many more. The C2 Survival Race for kids ages 8-14 is similarly structured with ability tiered adventure challenges including agility tire drills, army crawls, and hay bale jumps. The race begins at 8:00 A.M. for adults and 9:30 A.M. for kids. In addition to the race, a variety of family fun activities, like paddle-boarding, zip-lining, pony rides, and kayaking, will be available on Saturday, September 13th. The family activities do not require registration. A $10 all inclusive wristband will be available for purchase that will allow access to all of these activities. All proceeds from the race and wristbands will fund scholarships for local kids in need to participate in enrichment programs like the Y’s Summer Camp and After School Programs. The Y is expecting a sold-out event so early registration is encouraged. To register online for the C2 Survival Race or for more information about the Steele Creek Y and its programs, visit the Steele Creek YMCA web site. For general event information, contact Ashley Collie at 704-716-4631 or ashley.collie@ymcacharlotte.org. 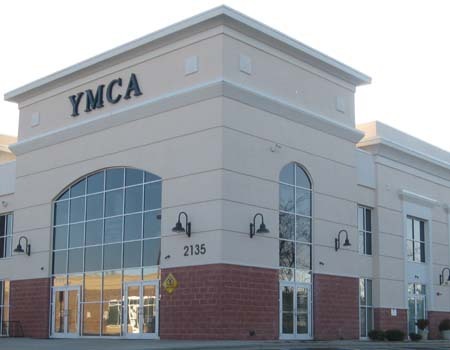 The Steele Creek YMCA is located at 2135-A Ayrsley Town Boulevard and offers a wide variety of programs for youth and adults. Its mission is to put Christian principles into practice through programs that build healthy spirit, mind and body for all.